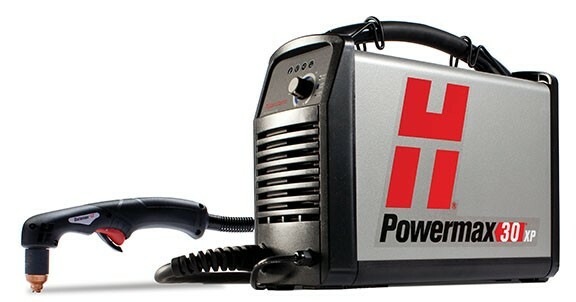 Professional-grade plasma system for handheld cutting 3/8" metal. High-power cutting on thick metal plus FineCut® consumables for detailed, thin metal cutting. Plug into any 120 or 240 V power with Auto-Voltage™ technology and included plug adapters. 50% increase in cutting power* for fast cut speeds. Less edge preparation – patented consumables designs provide superior cut quality. Twice the consumable life* and 70% more efficient on average for lower cost of cutting. New Duramax™ LT torch designed to withstand impact and heat. Hypertherm Certified™ reliability ensures performance in the most demanding environments.